St Patrick's Day is celebrated annually on March 17th, the traditional religious feast day of St. Patrick and the day he is believed to have died in 460 A.D. The Irish have observed this religious holiday for hundreds of years. But, how did we come to celebrate St. Patrick's Day in the United States? 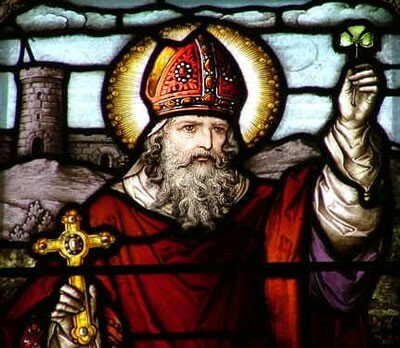 St. Patrick is the beloved patron saint of Ireland. The Irish are famous for spinning exaggerated tales, so despite the infamous stories traditionally attributed to St Patrick, quite little is actually known about his life. We do know that St Patrick was born in Britain and that at the age of 16 was captured by Irish raiders who attacked his family's estate. He was then transported to Ireland where he was held captive for six years, living a solitary, lonely life as a shepherd. It was then that he became a devout Christian, embracing his religion for solace. From his writing, we know that a voice, which he believed to be that of God, spoke to him in a dream, urging him to leave Ireland. He did. Walking nearly 200 miles, Patrick escaped to Britain and undertook seriously religious training. After 15 years of study, Patrick was ordained as a priest and sent to Ireland. His mission was to minister to Christians and to convert the Irish, then pre-dominantly pagans, to Christianity. Because Patrick was familiar with the Irish language and culture from his years of captivity, he chose to incorporate Irish ritual and symbols into his teachings rather than to eradicate Irish beliefs. 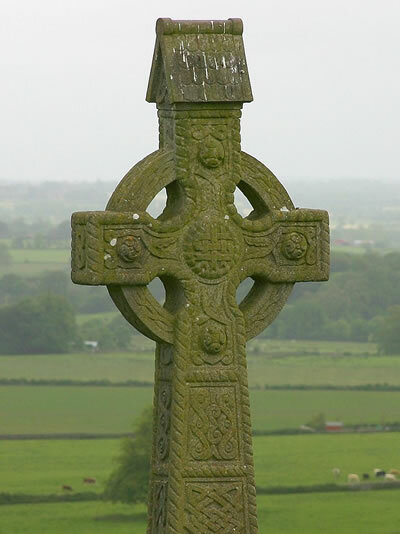 Thus, was born the Celtic cross. Patrick superimposed the sun, a powerful Irish symbol, onto the traditional Christian cross so that the result would seem more natural to the Irish. This website is very cool and very interesting.